While there is a lot of great substance in his article that I agree with, I have to disagree with his conclusion. Agile did indeed represent a positive step forward, but I do not believe it went far enough. Before Agile, it was all too common for teams to spend a tremendous amount of time and resources building something only to find that their customer didn’t want it by the time they were finished. 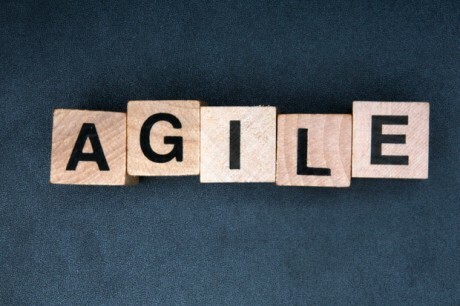 While Agile did educate a generation of software developers on the importance of experimentation and customer feedback, it failed to change the old, centralized, command-and-control system of management which remains a large part of the problem. Even with Agile, disempowered engineers working with too little context still ended up taking too long to create products customers don’t even want, resulting in dissatisfied customers, disengaged engineers, and frustrated managers. In 2004, I worked for a company that relied heavily on analytics, A/B testing, and even released weekly, all of which was ahead of its time. I remember the first time people started talking about SCRUM, and I remember having a clear sense of the problem it was trying to solve: Bad management. To be fair, as I re-read the Agile manifesto and principles, I agree with every one of them. They’re as good and true today as they were in 2001 when they were written. Agile stated that you should be building and iterating to learn as opposed to following some grand plan. Furthermore, your customer should be an intimate part in the whole process to make sure you’re learning from them as you build. Since your goal is to be constantly absorbing new information, you should expect to change directions, constantly. Before Agile, management would attempt to create a plan which perfectly documented (i.e. predicted) what needed to be built, how it would be built, and how long it would take to build – the latter being perhaps the most important piece. As we now know, these plans rarely succeeded at predicting any of those things with any degree of accuracy. This usually led to highly unrealistic expectations and timelines from the start. To make matters worse, given the lag time between when the plan was finished and the product shipped, it was highly likely management would change their mind about what to build with no sense of the cost. This made engineers, who thought their job was executing on “the plan” very angry. It meant that unrealistic deadlines were made continuously worse forcing many teams to try and do even more planning to reduce later changes. Ironically, the lack of transparency in the building process ended up giving engineering teams tremendous autonomy to choose the order in which to build things, how to build them, who would do what, etc. Of course, this type of autonomy and lack of transparency usually end up resulting in mistrust between management and engineering. In the end, no one was happy. Theoretically, it is possible to implement SCRUM as a way of tracking the work in self organizing empowered teams, but it doesn’t prescribe that and it’s rare to see. Most books on SCRUM come at it from the perspective of top-down management, not self-organization. What’s the alternative? Check out Spotify or Yammer’s engineering methodologies. Or Holacracy if you want to get really crazy. What they have in common is this: instead of pushing work to individuals, they empower teams who are given more autonomy to decide what and how to build. Also, these teams are composed of people from different disciplines to ensure they’re able to do whatever is necessary without waiting for others to give permission or provide assistance. 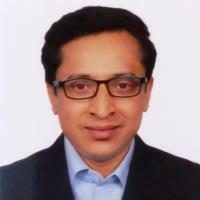 Agile represented an important step our shift away from industrial era organizations and practices. But if you want to create an organization built for the 21st century you will need to look beyond Agile towards newer models that distribute authority, are self-organizing and truly invite your customers, partners and employees to own the process.